With its’ patented data compression algorithm, the PQZIP, the BLACKBOX stores onboard all the waveforms of every network cycle up to a 1+ year, at a resolution of 1,024 samples per cycle. 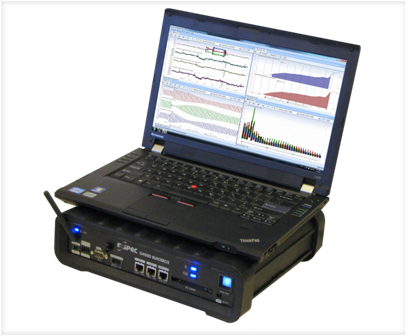 The wireless G4500 BLACKBOX is equipped with a built-in 802.11 b/g access point and Ethernet router, allowing it for portable analysis from any remote location. The G4500 Portable BLACKBOX continually records & measures over 10,000 electrical parameters automatically, all the time for more than a year. Capture everything & get down to the root cause of all Power Quality issues - Trends, Volts/Amps/Hz, Events, Harmonics, THD, Flicker, Power & Energy. The Portable BLACKBOX is specifically designed for a quick & easy portable setup. Free yourself from the necessity of thresholds, triggers, and concerns of events that may be overlooked during setup. 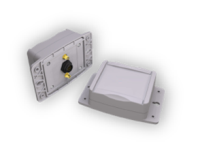 For ease of use, connect either via TCP/IP/RTU/GPRS Wireless connection. Data may be analyzed over any network, at chosen remote location on a PC. Simply connect, record & measure all the electrical information. The Plug-&-Play probe interface automatically recognizes any probe & clamps during setup.